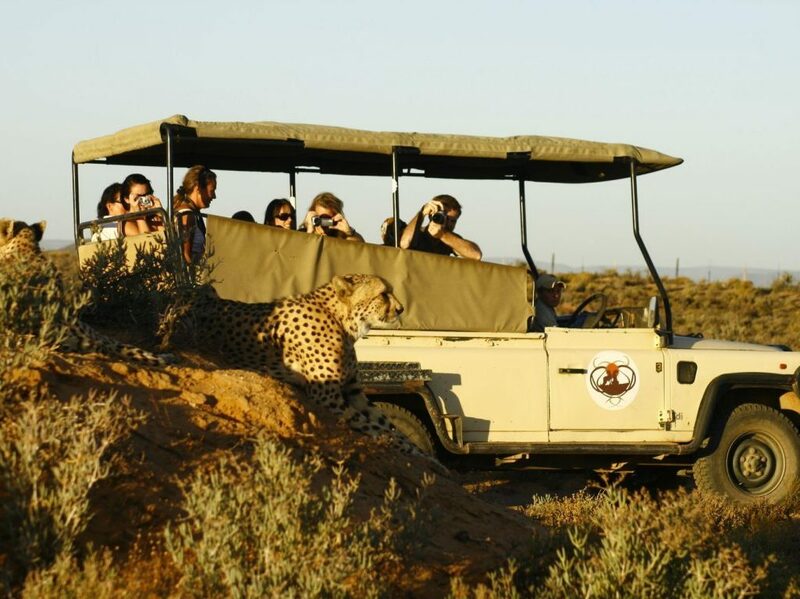 This one day safari tour allows Cape Town visitors to get upclose and personal with Africa's most famous animals all just a short drive from Cape Town. This tour is perfect for people wanting to make the most of their time and enjoy a safari without sacrificing too much travel time in the country. Also, as the reserve is situated in the Western Cape, you will never need to worry about the risk of malaria, and a one day safari is easily and conveniently slotted into your schedule as a fun day outing to enjoy some of the Cape’s most stunning flora and fauna. Over 1,200 wild animals can be seen at Inverdoorn, with a number of species including elephant, lion, cheetah, white rhino, eland, giraffe, springbok and many more. Bird life is equally prolific, with a number of local and migratory species to be found across the reserve. Bird species you may encounter on this Cape Town safari include African fish eagle, black breasted snake eagle, giant kingfisher, Cape vulture, Cape eagle owl, flamingo, ostrich, secretary bird, sacred ibis, spotted eagle owl, black stork, barn owl and jackal buzzard to name just a few. A game drive across the reserve is the perfect way to take on the plentiful game and bird life that can be found at Inverdoorn. We normally depart from Cape Town by 7am and return by 17:00. Pickup can start as early 6 am subject to location.